Many of my blog readers will know that Diana Milne died recently, and although we all knew that her health was not at its best, her death came very much as a surprise. Among her many talents, I best knew her as co-admin of The Review blog, where her sense of humour and incisive mind are hugely missed. Others will know her in different capacities – family member, friend, business person – and will, no doubt, be remembering her in their own ways. 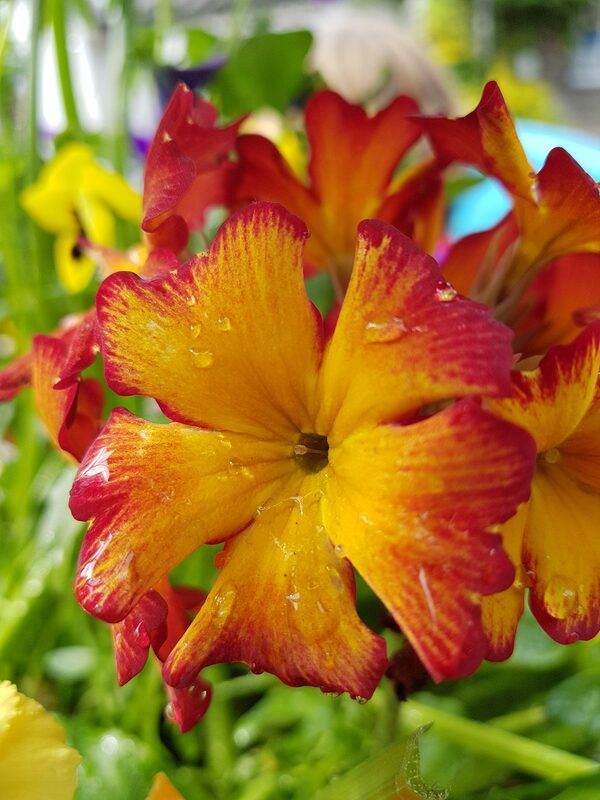 But as well as that interaction, I wil also remember her as someone who enjoyed and commented with appreciation on my flower pictures, which are scattered around this post. D: If you had free choice over the font your book is printed in, what font/fonts would you choose? R: I’m a rebel here and an enthusiast of epublishing – so I’d want my readers to pick their own font at will rather than feel they had to put up with my choice. Just for fun, I tried seeing what my books look like with the fairly recent dyslexic font available in many Kindles – I couldn’t read it all the time but it was a useful exercise seeing what it was like. D: Imagine that you could get hold of any original source document. What would it be? R: The founding statement of principles of the first colony on the asteroid Ceres, at the point it transitioned from being just a commercial mining settlement into a real human community. D: Have any of your characters ever shocked you and gone off on their own adventure leaving you scratching your head??? If so how did you cope with that!? R: A minor character from Far from the Spaceports has developed something of an interesting life of her own – and will continue to do so in #3 (provisionally called The Authentication Key). I just went with the flow, presuming that my subconscious knew all about this. D: How much research do you do and do you ever go on research trips? R: For historical fiction, yes, lots, and yes I have (some of the Greek islands, Egypt, Jordan, and Israel). 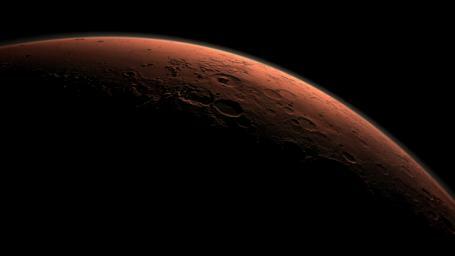 For science fiction, I’d certainly be up for a trip to the asteroid belt – or even Mars – if anybody offered it. Sadly, the opportunity has not yet presented itself. For the emerging fantasy books, I guess the research is more into internal space rather than external. D: Have you ever totally hated or fallen in love with one of your characters? R: Never hated them – I wouldn’t bother to write about them if I hated them. But there are definitely people that I would get seriously fed up with if I had to work with them. But love some of them, oh yes. D: What do you enjoy reading for pleasure? R: Mostly good science fiction or good fantasy. 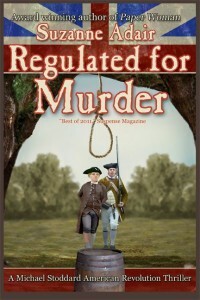 I have got a bit chary of some historical fiction as there is a trend for high body counts and the like. But when I find a book I like then it doesn’t really matter what genre it is. As a rule, I prefer novella or novel length books to short stories. D: What drink would you recommend drinking whilst reading your latest book? R: Russian Caravan tea. [Note from Diana… Russian Caravan is a blend of oolong, keemun, and lapsang souchong teas, all produced from Camellia sinensis the Chinese tea plant] Or maybe a really nice Jasmine green tea. Or just possibly a local ale if something stronger takes your fancy. D: Marmite? Love it or hate it? 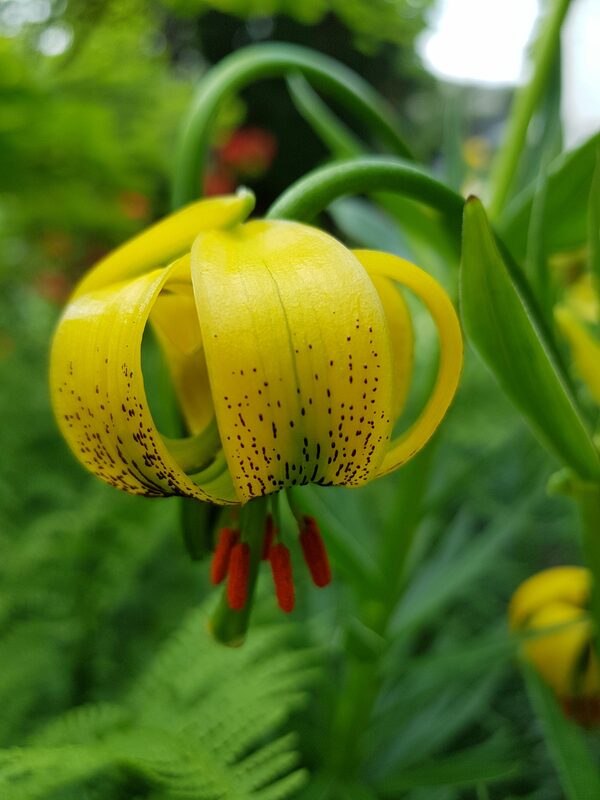 It’s just a short blog today, about some recent publicity. This also meant that Shadows was short-listed for the DD September book of the month, but there’s a little while yet until the winner is announced. Several bits and pieces to talk about today. First, I was nominated in one of these “post seven lines from page seven of your current Work in Progress” challenges. It’s always a bit tricky picking out where page seven is, since I write initially for Kindle. But what follows is a fair guess. The story is (provisionally) called Timing. It opens with Mitnash and Slate back on the Scilly Isle asteroids, having just come in from a long and seemingly dull trip out to one of the moons of Jupiter. They are at Frag Rockers Bar with their friends, and one of them has just mentioned a leaflet which appeared recently, circulated by a group called Robin’s Rebels which Mitnash has never heard of. Eibhlin took the leaflet from Rydal. Finn was reading over her shoulder. What was interesting about the book besides the awesome set up, and the background, was the author keeping in touch with the subtle ways of humans, way into the future. Of course, there is fraud and there are people investigating it, but he manages to grab the reader’s interest, right at the start. How do the two of them manage to solve the mystery? How does it all work, in an environment that is so different from ours? “Wonderful atmosphere, great dynamics between characters and good mystery about the financial case”. DM: Can you summarise your book in one sentence? RA: A human-AI partnership tackles hi-tech financial crime among the asteroids. and then moves through several other questions to finish with the extract I mentioned. It has indeed been a busy time, with all kinds of things going on. 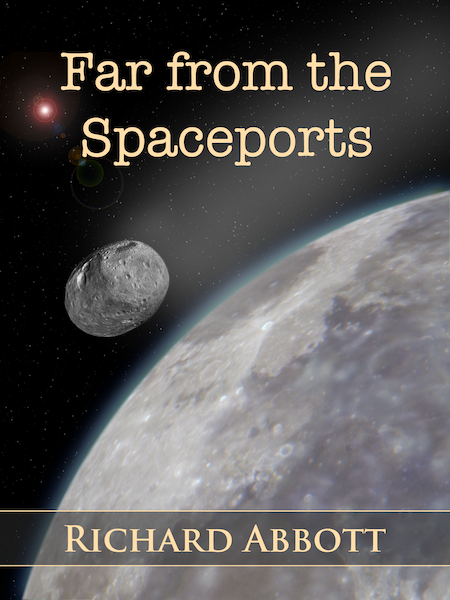 Monday evening saw a lively Facebook event celebrating the launch of Far from the Spaceports, with a lot of people joining in, and a lot of questions, comments, and general good humour. The paperback giveaway is still up for grabs as nobody has yet answered the challenge! There’s still time, so if anyone wants to have a go, here are the questions. All answers can be found in the Amazon ‘Look Inside’ feature, or in the slightly larger free sample downloads available at the Kephrath site. What is the name of the main computer at Mitnash’s workplace on earth? What London underground station did Mitnash use after being recalled to the office? What did Mitnash assume that the duty porter meant when he talked about parakeets? What did Slate mean when she talked about Plan B? Talking of giveaways, I am experimenting with one on Goodreads next week, so if interested pop over to the Goodreads site and add your name., on or after December 15th . After that, I spoke with Radio Scilly and they turned our chat and some extra blurb into an article. That was a lot of fun, though naturally after we had finished I thought of all kinds of other things I might have said. I am still following up on contacts arising from that, and hopefully will be for some time to come. One of the questions that Radio Scilly asked me was what features of the real Islands had proved difficult or impossible to incorporate into the asteroid version. I thought about it, and decided that it had to be the effect of running water. This has been – still is – a hugely critical factor in the real islands, but has never been an influence out in that part of space. 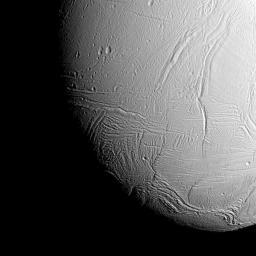 To be sure, ice has turned up in all sorts of places in our solar system, but hardly ever in liquid form. 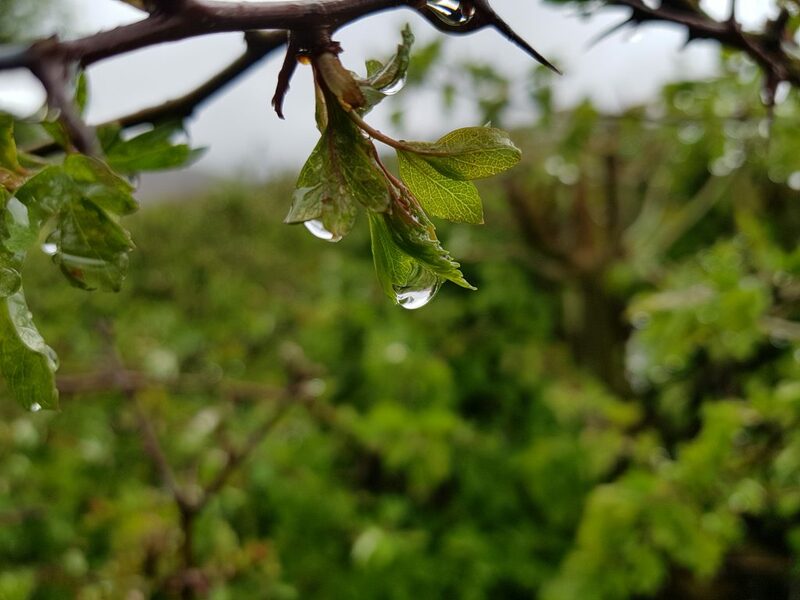 So that has prompted me to think of a series of articles on the influence of the elements through history – water, air, light, heat, and so on, in the past, present and future. More of that next week. Today is another author interview day, this time with Trish Cox. I read her book Chasm Creek earlier this year and thoroughly enjoyed it. 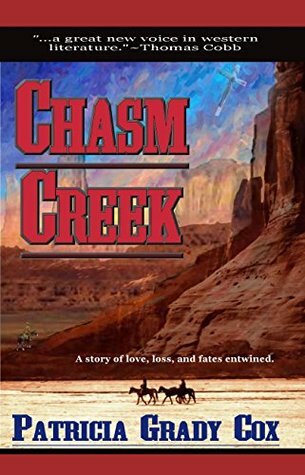 Chasm Creek is a western – a genre I have hardly ever read since school days long ago. Most of my acquaintance with westerns comes from old television series like The Virginian and The High Chapparal, with a smattering of more recent films. 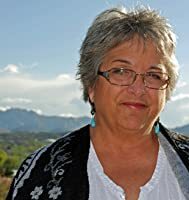 Trish has also published a collection of short stories and flash fiction, and her writing career extends well beyond that into magazine and newspaper articles, guide books, and memoirs. On September 25, the New Mexico Book Coop announced finalists in many fiction and nonfiction categories for the 2015 New Mexico-Arizona Book Awards. Chasm Creek by Patricia Grady Cox is nominated in the Historical Fiction category. Winners will be announced at an awards banquet to be held on November 20 in Albuquerque NM. Q. Trish, the western is a genre not much practiced here in the UK, though I guess it is more popular in the States. What drew you to write in this genre, and specifically to write Chasm Creek? A. Hi Richard. It’s an honor to be interviewed for your blog; thank you! I can’t say that I chose to write this story. It was more that the story grew within me and had to be told and Arizona was where it happened. When I first moved here 25 years ago, I lived in a little town north of Phoenix. I visited the local historical society’s museum and discovered the town was established in territorial days and originally was a gold mining camp. That led to reading about gold mining in Arizona. 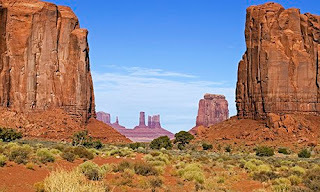 Then, in my travels around my new home state, I visited Monument Valley on the Navajo reservation. It was here I first heard of The Long Walk. It’s a shameful part of our history that is not widely known: in 1863 thousands of Navajo were rounded up, after being starved and slaughtered into submission, and marched over 300 miles to Fort Sumner in New Mexico where they were held captive for five years. Thousands perished on the Walk, and more at the Bosque Redondo. I wanted to work that into my story. Q. I was very struck by your frequent and very evocative descriptions of the natural beauty of Arizona. It’s a part of the world I don’t know at all. Do you think that the magnificence of the surroundings is an important feature of the western in general? A. Thank you, Richard. I can’t tell you how happy it makes me that the setting has resonated with so many people. I believe what is coming through is my absolute love of this geographical area. I moved here because I wanted to live in this setting. In 25 years I have not tired of it. I like stories in which the setting becomes a character, something that is almost required if you’re writing about the historical American west. I tried, in Chasm Creek, to paint a picture of the harshness and isolation of life then as well as the beauty. It gives the characters one more obstacle to deal with. Q. You have lived in both Arizona and on the US Eastern seaboard, as indeed have some of your characters in Chasm Creek. Tell us something about the differences between them, and how this affects your writing. A. I think my personal experience leaks into the story a couple of times through Esther. She is the one who considers moving back east at one point, but realizes she would be smothered by the closeness, the buildings, everything paved and cultivated, trees that block the view, the sky. Those who know me commented they saw me coming through in that section, and they were correct. Rhode Island is a beautiful state. It’s green, filled with forests and many small farms, the ocean is not far from any point (it is a tiny state). The coastline is beautiful and ferries abound to take you to various islands off the coast. I loved the ocean. But the time came to say goodbye and head west! No ocean here. Hardly any water. Everything is sharp, ragged, poisonous. But you can hike to the top of a hill, even in the middle of the city, and see for miles. You can drive along the highway and look out on either side of the road and see mountains and buttes and mesas and cactus, maybe a stray cow or a wild burro. There is no closeness (at least once you leave the city which you can do in less than an hour). I never knew that clouds cast shadows on the ground. I never knew that you could see a storm approach, experience the line between no rain and a downpour as it passes over you. How does this affect my writing? It probably imbues everything I write. My second novel and my third (work in progress) all contain elements of this conflict between safety, closeness, civilization – whether back east or just within a city in the territory – and the wide open spaces which, to me, symbolize freedom, adventure, and opportunity, much as it did during the western expansion in our country. For me it’s on a spiritual and emotional level as well as geographic. I did not write novels until I came here. Q. In the older westerns, American Indian groups tended to be presented as simple stereotypes. You depict them as far more nuanced and diverse. Can you say something about American Indian groups living in Arizona at that time? A. It’s unbelievable the way American Indians were portrayed in the past. Actors speaking gibberish or stilted English, casting white actors, no regard for tribal cultural differences. I can’t claim to be an expert in Native American culture. I studied what I needed to study to make my characters historically accurate. I learned that the Apache and Navajo tribes, with common distant ancestors and very similar language, considered each other enemies. I learned there were many subdivisions within tribes – among the Apache were Tonto, Mescalero, Chiracahua, Jicarilla, just to name a few. They were not one big unified group. There is so much to know, and I’m just glad that writers and move-makers are becoming aware of this and showing more respect. So to answer your question, there were many different Native Americans living here when European settlement spread west in the mid-1800s. Some were pueblo Indians, some agrarian, others hunter/gatherers, and so on. There was no homogenous “Indian” in Arizona. The ones that tried to fight the Europeans suffered the consequences. Others were more peaceful. I tried to stick with just the two groups – Navajo in order to incorporate the Long Walk into my story as it affects two characters, and the Tonto Apache because they lived in the area of the fictional Chasm Creek. 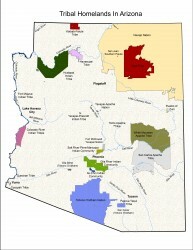 According to the InterTribal Council of Arizona, http://itcaonline.com/ there are 21 tribal nations currently living in Arizona. Patricia Grady Cox at Canyon de Chelly, Arizona. Q. How did you carry out research for this book, and more generally about the era? Is it easy to uncover documentation about the life and times of people there? A. It is fairly easy to do research on that time period in Arizona. There was a huge military presence and they kept excellent records. Martha Summerhayes is one famous journal-keeper who recorded her travels around the territory with her Army officer husband. Phoenix, Prescott, Tombstone, and other big towns were publishing newspapers regularly. Almost every town has a historical society and some kind of museum, although not all go back to my favorite territorial period. My preferred way to do research is to travel to the actual locations. I drove the 300 miles from the Navajo reservation to the Bosque Redondo, where the Navajos built a memorial and museum. I walked the grounds of what was once Fort Sumner, looked at the slimy, slow-moving creek that is called the Pecos River and thought about 10,000 people having to use that as their sole source of water. I’m sure the river looked different back then, but I could get an idea. I also had to picture the area devoid of trees because the prisoners quickly cut down all the trees for firewood and shelter; now there are trees along the banks. I was able to visit every setting that was used in the novel, take notes and photographs, then research what it would have been like 130 years ago (much different). Oh, and I read a lot. Q. Your website (http://www.patriciagradycox.com/) mentions that for a few years you volunteered at the Pioneer Arizona Living History Museum, portraying an 1800s ranch wife (several other interviewees this year have taken part in re-enactments, so this is clearly an appealing activity for authors!). Tell us a little about your experiences doing this. A. There are many groups that do reenactments, and many of them pride themselves on their authenticity and their knowledge of the period. Working at the museum was similar except one was assigned to a particular building, and you took care of it (swept, dusted, tended the fire, hauled water). The novel I’m working on now is on three levels that incorporates modern time, the living history museum, and 1879 Arizona. My characters are shocked at the difference between what they thought was an authentic representation and the reality of life then. Some of my blogs address this issue. It was not romantic or easy or fun (unless, of course, one was wealthy—same as today). Q. Your web site indicates that you have another novel in progress, Hellgate. Can you tell us a little about that, and when we might be able to enjoy it? A. Hellgate is finished and has been with an agent for a year and a half. It’s a problem because it’s a western historical novel with two female protagonists. One is a young woman who has been kidnapped and is being held captive in an outlaw lair run by an Irish madman. The other is her aunt who lives in the territorial capital, a lady with servants and a Victorian home, but she has her own problems (addictions). I am considering whether to give traditional publishing any more time or to self-publish it. Q. Is there anything else you would like to tell readers today? A. I would like ask that people look at my blog posts, and let me know if they like them. Also, I have a page on Facebook which can be “liked”. And there is one blog post from a while ago that your readership might especially enjoy since it’s about an American West reenactment group – in England. The blog is entitled “The British are Coming!” https://pcoxwriter.wordpress.com/2014/07/19/the-british-are-coming/. Many thanks Trish for participating in the interview today! Chasm Creek comes warmly recommended by me (see The Review Group or Goodreads) and I look forward to Hellgate as and when it gets published. Thank you Richard, for the wonderful review and for inviting me onto your webpage. I enjoyed the questions very much! Today I am welcoming Suzanne Adair to an author interview. I first came across Suzanne’s writing at the end of last year, and have been getting more familiar with it since. 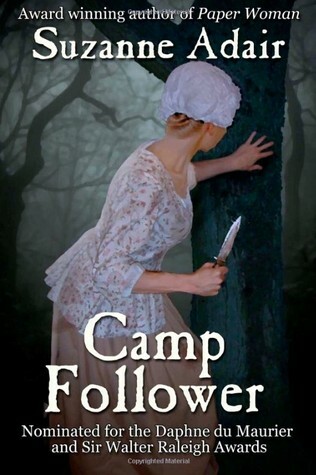 I have previously reviewed Hostage to Heritage and Camp Follower. 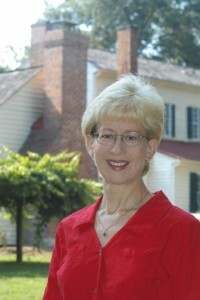 She writes about the American War of Independence, so an interview for July 4th seemed perfect! Q. Suzanne, what first attracted you to write about the war of independence? A. Thanks for inviting me to be your guest today, Richard. What fun, talking about the American War of Independence on the Fourth of July—on a Brit’s blog, of all places! Although a number of wars have been fought on American soil, the War of Independence has always resonated the most with me. I’m fascinated with the changes in Western people’s heads during the late eighteenth century. They were exploring with telescopes and microscopes and even periscopes. The printing press made it possible for many to own books and become better educated than their forebears. Middle-class people could find leisure time. Government and religion weren’t as tightly bound as they’d been in previous centuries. And the stirrings of the women’s rights movement can be found during this period. For over two hundred years, history scholars focused almost exclusively on the northern theater of the American War (especially New York, Pennsylvania, and Massachusetts). About fifteen years ago, they finally began researching the southern theater (the Carolinas, Virginia, Georgia, and Florida) in earnest. As new documents come to light, and field researchers shift their efforts southward, it’s changed the shape of this war. Scholars now believe that the colony having the most battles was South Carolina. My series is set in the southern theater, so I find all this quite exciting. It helps make the historical background fresh for my readers and me. How has the shape of the war changed? 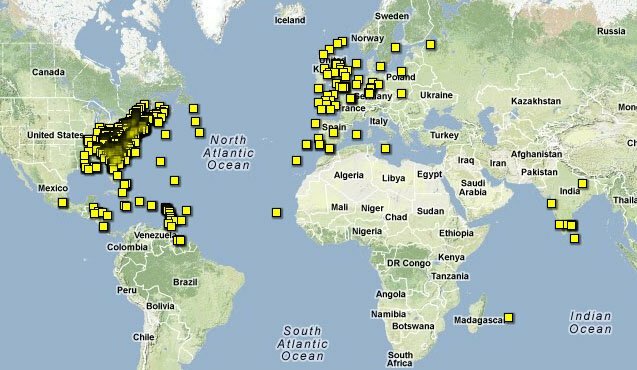 A few years ago, my cartographer friend John Robertson (who has created the maps for most of my books) plotted each military action from the War of Independence as a yellow square on this map of the world. It’s clear that this war wasn’t confined to the northern theater. Nor was it confined to America. In fact, it looks like a world war. What do you think? Q. As a Brit, this is a subject I knew very little about except for some anecdotal tales, such as the Boston Tea Party. It comes across in your books as a troubled and confusing time in which allegiances were uncertain and often shifted. Could you tell us a little about the background here? A. Certainly. In wars throughout history, almost never do you find that all people in an affected civilian population give their allegiance to one of two sides. That’s the way it’s often written by the victors, and thinking of it that way makes it simpler for history students. But what you actually find is that a third to a half of the civilians are neutral. They have no strong feelings about which side should in charge as long as they can carry on with their lives. Unfortunately when an army comes into an area, neutrals don’t fare well for the reason that they haven’t given their allegiance to either side. During the American Revolution, neutrals were often regarded with suspicion and had their belongings (livestock, crops, etc.) seized for an army’s use without compensation. They were also forced into military service and, if captured by the army’s opponent, might be forced to switch and fight for that side, all the while wondering if they’d ever see home again. Q. You describe your writing on your web site (http://www.suzanneadair.net/) as “historical crime fiction.” What drew you into the crime/mystery side of writing? Do you see your main audience as enthusiasts of historical fiction or mysteries? A. The solving of a fictional crime such as a murder or caper often conveys tighter structure upon a novel, and I definitely take advantage of that structure. In addition, the idea of having a protagonist solve such a crime without the benefit of modern forensics is a challenge that appeals to me. Q. You bring in to your books other cultural elements such as religious and social diversity. The period comes over as a real melting pot of personal background. Does this reflect the written sources of the age? A. Many readers don’t have a solid foundation in history. From high school history classes, they’ve come to believe that Revolutionary America was populated almost exclusively by white Protestant Christians. What a boring place the colonies would have been to live, if true. Fortunately, when you do the research and check the sources, you find out that there was quite a diversity of religious and cultural backgrounds found among people living in the thirteen colonies and surrounding territories. (Take a look at an essay I wrote about this amazing diversity, http://www.suzanneadair.net/2014/07/09/religious-diversity-in-america-during-the-revolution/) For example, you learn that Thomas Jefferson read the Qur’an, probably incorporating ideas from it into the Declaration of Independence, and that a Jew named Haym Solomon gave a big loan to the Congress for the war effort. Integrating this kind of background into my fiction makes my Revolutionary universe a vibrant, interesting place. Q. Your author profile on Amazon (http://www.amazon.co.uk/Suzanne-Adair/e/B003WH8Q36/) and Goodreads (https://www.goodreads.com/author/show/1188958.Suzanne_Adair) mentions that you have taken part in reenactions (just like Paula Lofting, who I interviewed in March). Which came first, the writing or the reenaction? Do you find that the two activities help each other? A. Great question! The writing came first, but not by much. What happened was that I wrote several chapters of the first manuscript in the series and realized that I was unable to get into the head of my eighteenth-century protagonist. I wasn’t part of that culture; we were separated by two centuries. Thus I had no idea what shaped my characters’ decisions or what constituted their daily challenges. That brought me to reenacting. The weekend events I attended recreated the history and immersed me in the social and political culture of the time. Of course, there’s nothing like living the real history. However reenacting is a sort of time machine to help me receive a good approximation of life in eighteenth-century America. As a result, my sensory impressions of that life found their way into my writing. My characters seem right for their time. Many readers say that I made them feel like they were actually there. Q. I had imagined that the events you write about – so recent in comparison to my own storytelling – were quite thoroughly documented. However, your author’s notes suggest that there are large areas of uncertainty, especially for actions in the Carolinas. How easy have you found it to find sources of information to underpin your writing? A. The ease of finding source materials depends upon what you’re seeking. Most battles are very well documented, as are the lives of the more famous and/or wealthy people. 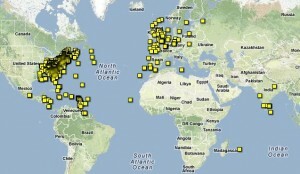 It’s also easy to find information about the big cities and larger towns as well as common trades. Step outside that, though, with the goal of showing how war affected middle- or lower-class men, and especially women, and you spend a great deal more time chasing down details. Sometimes vital information has vanished into the chaos if war, and a precise answer cannot be found. And in my answer to your first question, I explained why there hasn’t, until recently, been as much documentation available for the Carolinas. While all that is often frustrating to a history scholar, it can be a boon to a historical novelist. Q. So far as I know you have only written to date about this single historical setting. Are you planning at some point to branch out to other places and times, or are you committed to this one? A. I’ve only been published in historical crime fiction so far. However I’ve also written a science fiction series set during the twenty-fourth century and a paranormal suspense series set during current times. Those series will be published. Q. What is coming up later in the year for you? Are you able to share any plans? Can we expect another Michael Stoddard thriller? A. October 2015, I expect to release Deadly Occupation (Michael Stoddard #0). Finally, is there anything you would like to add which we have not touched on so far? You’ve provided a purchase link to my five books on Amazon. In electronic format, they’re also available for Nook, Apple, and Kobo. Thanks Suzanne for taking the time today to talk with me. All the best for you in the future. Award-winning novelist Suzanne Adair is a Florida native who lives in a two hundred-year-old city at the edge of the North Carolina Piedmont named for an English explorer who was beheaded. Her suspense and thrillers transport readers to the Southern theater of the Revolutionary War, where she brings historic towns, battles, and people to life. She fuels her creativity with Revolutionary War reenacting and visits to historic sites. When she’s not writing, she enjoys cooking, dancing, hiking, and spending time with her family. October 2015, look for the release of her next Michael Stoddard American Revolution Thriller, Deadly Occupation. An American theme for today’s blog! July 4th is coming up which, while largely unnoticed over here, will be the cause of all kinds of celebrations over there. So I am joining in the vicarious fun with an American theme. First, my review on The Review Group for a western called Chasm Creek has just gone live. I hadn’t read a western for many years – possibly not since school days, which surely has to count as many years – so found myself unexpectedly delighted by this book. The depiction of the natural world of Arizona completely sucked me in, along with the storyline. Check out the review on the Review Group (or Facebook) and add a comment if you want to go in for a free prize draw copy of the book. 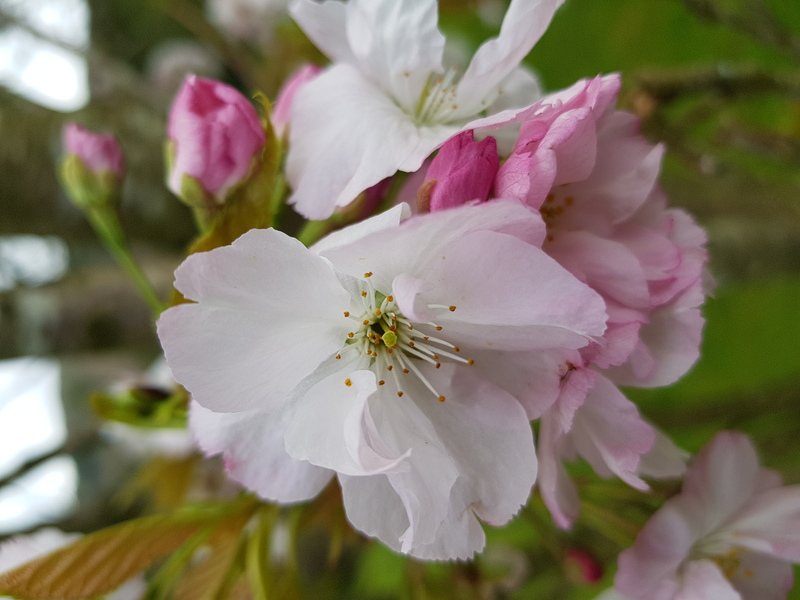 Also, the next in my series of author interviews will go live on 4th – on this occasion I am inviting Suzanne Adair to tell us about herself. 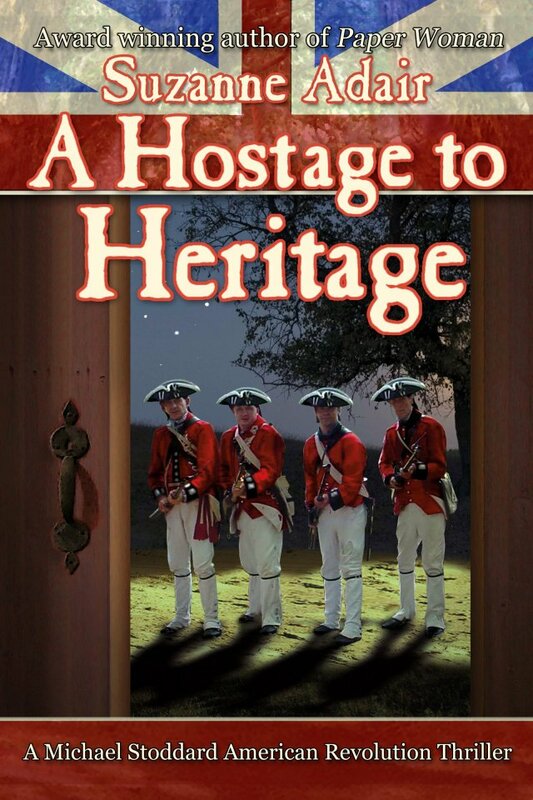 Suzanne (who of course is American) writes about the US War of Independence and I reviewed a couple of her books not so long ago – Hostage to Heritage and Camp Follower. 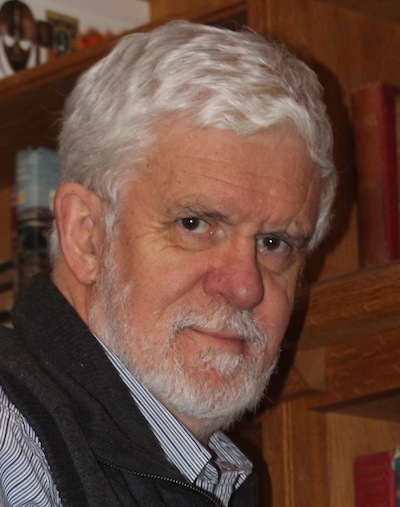 Today I am welcoming David Frauenfelder to an author interview. Up to now I have been staying this side of the Atlantic for these interviews, but it’s time to go across the pond now. I first came across David’s writing towards the end of 2013, and have been following as he has tackled a couple of different genres. 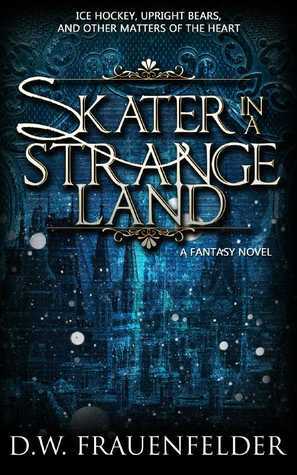 Q. David, I first came across you in connection with Skater in a Strange Land, about which I wrote “a sort of cross-over science-fiction / fantasy book that mostly defies description but kept me reading avidly to the end“. What drew you to write about Borschland, a fictitious continent appearing from time to time in the Indian Ocean? A. I am an inveterate reader of maps and creator of worlds. I have pretty often had dreams where I am looking at a map and suddenly I dive into the place the map represents. If I am in a boring meeting, I will sketch a map of an imaginary place from whatever is percolating in my brain at the time. If something like Dasht-e-Kavir comes out (a real desert in Iran), the world will be a wasteland with Persian and Arabic place names. From there, it’s a very quick step to imagining peoples, cultures, and history. It helps that as a child I read all the fantasy standards from Lloyd Alexander to Ursula K. LeGuin. Add in academic training in languages and literature (Greek and Latin primarily), plus a bit of travel, and you’ve got a walking world generator. Q. Borschland is a truly zany place, lovingly described in your books, with its own language (rather like Dutch), religious heritage, social hierarchy, and economy. Adjacent lands are populated with their own species. Where did the different ingredients all come from? And why ice hockey as a national sport and addiction? A. I am utterly enchanted by the zaniness of human beings. If you read anything about anywhere that is an actual place in the world, it is pretty much full of unbelievably entertaining and improbable names and events. I was just reading about anthropologists who analyzed the grammar of Aboriginal languages in 19th century Australia. Can you imagine what their lives must have been like? At the same time, human beings aren’t random. There is a kind of interior logic to our zaniness. So, for Borschland, which began very innocently in my teenage years as a place where I could run a fantasy ice hockey league, once I discerned the interior logic of the place, I began to feel complete freedom in making Borschland totally and completely itself with no apologies. I chose ice hockey because Borschland was named after a friend of mine who introduced me to the sport. Because of him, I became a lifelong fan, though I have never so much as laced up ice skates. Zany, yet with its own logic. Hockey is a wonderful sport, with its own culture and improbabilities. There’s so much possibility for story there. Much of the rest comes from the idea of the phase shift, which is a physically impossible but for me essential ingredient of the world– Borschland and its continent, as you say, “from time to time” phase out of this world and into a parallel universe. 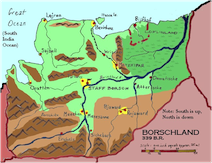 Figuring out how a culture would react to such a state of affairs drove a lot of what Borschland ended up being. And you do have to be comfortable with talking bears. Q. 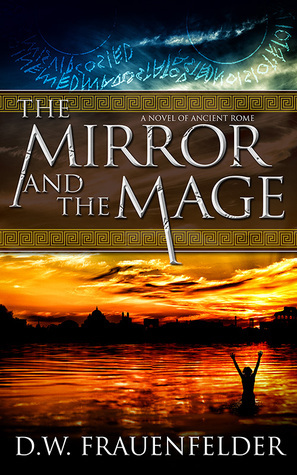 More recently you have branched into YA fiction with The Mirror and the Mage, set in the very early period of Rome and blending fantasy, fun and educational elements. Can you tell us a little about this new endeavour? A. As a teacher of Latin to adolescents, I’m constantly looking for ways to bring my subject alive, and for quite a long time I had an idea about making the system of Latin grammar a system of magic. That way, I figured, a student could come at the rather dry idea of grammar from the point of view of an exciting story and perhaps see what the Romans knew, which is that their language was a source of power for them, and that, more generally, language simply is power. For years the idea remained just that, until I saw how I could incorporate the magic system into an actual though quite legendary time in Roman history, the moment when the Romans overthrew the Etruscans and became a republic in the late 6th century BC. The liberator of the Romans is Lucius Junius Brutus, and what he did as a young man and politician is duly written down by historians. But what about Lucius Junius Brutus the teenager? Now there was a completely blank slate on which I could create an adventure. Q. So there are two quite different fiction series here, both of which are clearly very much alive in your imagination. You have also explored non-fiction writing a little. Are there other things you know you would like to write about as and when time permits? A. Find me a MacArthur grant, Richard, and I’ll answer this question. To write everything I dream about, I would need quite a bit more time and freedom. Q. Your author profile on Goodreads (https://www.goodreads.com/author/show/6801887.D_W_Frauenfelder) mentions that you teach classical languages, and have a great enthusiasm for the ancient world, especially as it expressed itself in myth. This comes over very clearly in The Mirror and the Mage, focusing as it does on a period of Rome’s history which is less familiar to many than the time of the Caesars. To what extent does your teaching career intersect with writing? A. For much of my thirties and forties I was what you might call a populist scholar, which means that I wrote about my field of speciality, Greek mythology, in a way which aspired to be engaging and accessible to a general audience. That culminated in an online course I wrote for gifted 10-13 year-olds, Growing Up Heroic: Adventures in Greek Mythology (http://tip.duke.edu/node/160). It was a course that concentrated on the adolescent characters in ancient Greek stories. Nowadays, I’m hoping that The Mirror and the Mage (and its sequel, The Staff and the Shield, which will release this year) will interest a young adolescent readership. Q. 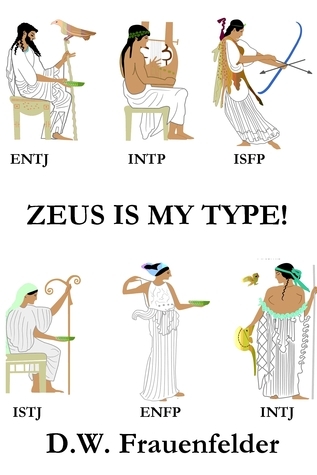 Your blog (http://myth.typepad.com/breakfast/) contains an eclectic mix of posts addressing your very wide range of interests, including a look at ancient Greek gods by way of modern psychometric methods (Zeus Is My Type!, available through Smashwords at https://www.smashwords.com/books/view/482593 and other places). Now, it is clear from the blog that you greatly value historical accuracy and credibility in a book. How do you carry out research for your own writing? A. I feel as if I’ve learned just enough to be able to create plausible lies. I’m always waiting for a reader to tell me that a historical detail in my book is wrong, or that hockey players don’t do that in real life. But my philosophy is, if you spend your whole life making sure you’re accurate, you’ll end by not writing very much fiction. Q. How about locating your books? You have lived on both west and east coasts of America. Do you find either of these places emerging in your writing? Or possibly other places you have visited? A. I find myself mostly incapable and uninterested in writing about where I have lived, less so places I have visited. Greece is a wonder, for example. I have set a novel there that takes place in 2000 BC. I felt free to delve that deep because in Greece I feel as if time is all one. Nothing dies. You can hear voices from millennia in the past. It’s eerie, but altogether exhilarating. I cannot sleep in Greece. I’m too inundated with spirits. 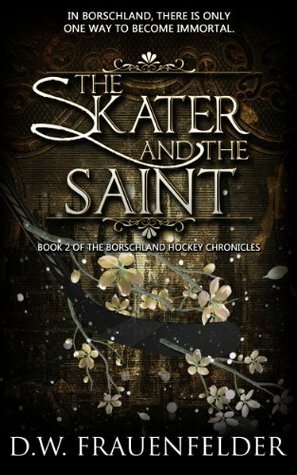 Q. I happen to know that there are follow-up novels in both the Skater and the Mirror series coming up before too long. How much are you willing to tell us about these just now? A. I’m proud to say that I just finished the first draft of The Staff and the Shield. It introduces the historical idea that Lucius Junius Brutus faked being a simpleton (this is the meaning of “Brutus”) in order to escape the jealous eye of the Etruscan king. While playing this role in real life, Lucius has a grand adventure in the Etruscan Land of the Dead, a dangerous place of monsters and goddesses. Book 3 of the Skater series, still in preliminary drafts, is called The Last Phase Shift, and discusses what happens when a group of scientists try to find a way to stop phase shifts on Borschland’s continent. It would seem as if hockey could not come in here, but it absolutely does. Also, so does the east coast of the United States. Hopefully not in a boring way. A. Yes. If your readers have persevered this far, I would like to bestow upon each’s forehead a big gold star. And I would also like to thank you, sir, for your generous hospitality. It’s been a treat. Thanks David for taking the time today to talk with me. All the best for you in the future. Today I am delighted to welcome Paula Lofting to the blog, who has kindly answered a number of interview questions. 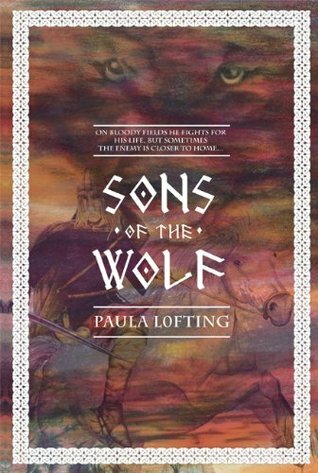 Some while ago now I reviewed Sons of the Wolf, but as you read on you will find out lots of other things about Paula. Q. Hi Paula, could you first give us a little introduction to yourself. A. Yes, indeed, well my name is Paula Wilcox, but I use my maiden name of Lofting as my author’s name. I decided to use it because I didn’t want people thinking that the actress Paula Wilcox was writing my books lol, plus there is an old famous author called Hugh Lofting of Dr Dolittle fame and I am a distant cousin, so it seems appropriate to use it – *laughs. 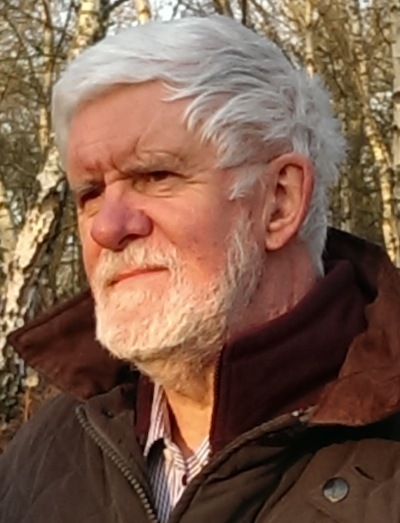 I am a psychiatric nurse by day and in my spare time I love to write. 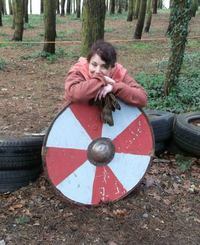 I’m working on my second novel at the moment but time is at a premium, especially as I help run The Review blog and also re-enact Dark Age history. So finishing a book takes me a lot of time as I have to fit my writing into my daily life where I can. Q. I first came across you via a copy of Sons of the Wolf. This was your debut novel, I believe. What first gave you the inspiration for writing this book? A. There are a lot of factors that inspired that book. These are just some: a visit to an English Heritage re-enactment of the Battle of Hastings at Battle Abbey for one, the book 1066-The Year of the Conquest by David Howarth and a desire to know more about the Anglo Saxons and why Harold took the throne from the so-called rightful heir. I thought about writing about the story of Hastings from the point of view of the two protagonists, Harold and William, but that has been done a few times now, so I had this idea from reading David Howarth’s book. He shows the events of that year through the eyes of a village and its inhabitants. It was the major factor that spurred me on to write the story. I found David Howarth’s little gem 1066 The Year Of The Conquest at a medieval fare. He tells the story of 1066 from the standpoint of a Sussex village. He chose Little Horsted, a tiny village near Uckfield, as it was his own home and describes the holding as it was in the Domesday Book. I already had the basis of a story that I wanted to write, I just needed a character. I had thought to invent my own village and my own thegn but here was Wulfhere, Thegn of Horstede, according to the Domesday Book, just waiting for me to find him. A blood feud between Wulfhere and his neighbour Helghi, forms the basis of the story which also encapsulates the politics and historical events of the time, drawing on what primary sources are available. So it’s a mixture of facts and fiction, and because the sources for this time are scarce in their entirety, it is an author’s dream to fill in the gaps with plausible possibilities. The novel has a large cast which includes fictional and historical characters which I had fun playing around with. Don’t you just love torturing the bodies and minds of your characters? Q. I gather you have participated in historical reconstruction events, a level of research that few of us have braved. Indeed, your Amazon author page photo shows you taking part in such an event. Can you tell us a little about that? Does it feed directly into your writing or indirectly? Which came first – the writing or the participation? A. Well, once I had decided I wanted to write this novel, I contacted Regia Anglorum (www.regia.org) after finding them on the internet and applied to join. I had always been interested in this kind of hobby but I had never been in a place where I felt confident enough or in the right time. It was the same with the writing. It had been a childhood dream to write a book, now I was at a time and place in my life where I was able to do both and because I wanted to write my story as authentically as possible, I thought it would be an enjoyable way to gain the knowledge needed to enhance my writing, for example, those little details you struggle with are often the simple things, like what they ate, how they made their food, how did a village community function, what did they wear and what did they NOT wear, and it is so important for this period I believe, that one gets it right. I’m a bit of a stickler where clothing is concerned. It’s very annoying to read about women running around with their hair tumbling over their shoulders in public instead of wearing head coverings, or men wearing breeches instead of trousers or mantles instead of cloaks. I thought in the beginning that I probably would stick around Regia for as long as I needed to learn stuff but I enjoyed it so much, that I’ve stayed there ever since and am now in my 8th year of being a member. I am so grateful to the society for the stuff I’ve learned which I feel has given me the gift of insight into life in those days – it’s not a perfect tool, because there is still a lot of research that is being done at the moment and some things just have to be interpreted because there isn’t enough evidence. But long days standing around in wet wool under shelters that pour water on you because of the rain, or days sitting in the hot sun, getting smoke in your eyes and up your nose have been so worth it, because I can actually feel what I am writing, especially when I am doing battle scenes. When I first joined I wondered what could re-enactment do for my writing, nowadays it’s more like what can my writing do for my re-enactment? Q. Some authors prefer to specialise while others spread themselves between several periods. Which is it for you? Do you see yourself as firmly wedded to that particular place and time for writing? A. That’s a really good question, because I have toyed with ideas. I can see myself writing about the Last Days of Roman Britain or just after. I’ve always loved that time – Arthur and Ambrosius have always intrigued me and I have some ideas scooting around in my head. I also long to write a story for Aethelflaed, Lady of the Mercians and am also interested in a 1st WW novel and a Victorian Gothic horror and a modern day psychological thriller. If I could ever find the time to write them it would be so cool! Q. Many people will meet you online through the Facebook Review Group (https://www.facebook.com/groups/398549953570025/ or http://thereview2014.blogspot.co.uk/) and its associated links. Tell us a little about the group, your dreams for it, and how far along the road it has reached. What prompted you to put time and energy into this? A. I just had this thought one day that I wanted a group where authors and readers could come together to celebrate books using the forum of reviews. I had been in a lot of groups where people posted their buy links several times a week, rarely interacted with each other, nor did they share each other’s stuff. It just seemed so impersonal and I just thought, I want people to have fun, to share each other’s stuff, to interact and have discussions and support each other. I wanted people to share the reviews that they believed enticed them to read a book, to share their favourite reviews that their readers had written about their book, or share reviews they’d written themselves for others. So I came up with this idea that I would start a facebook group where the aim was to create a forum where we could do all of those things and invited some friends to help me admin it. As time went by, we came up with a Do list as opposed to a Don’t list because we decided that to keep it spam free, we would need some boundaries, such as no posting buy links and that links to reviews should be posted and not just copied and pasted. We all became experts in posting permalinks form Amazon lol! Then we added two days a week to share blog posts and so we grew like that until we created our own blog which you have linked above, to review books. We also recruited a reading team and found some more admins. My vision for the blog was for us to produce high quality reviews of high quality books and I had this principle that we would never post a bad review. We had some guidelines where the reader was supposed to stop reading a book if they didn’t like it, but it was really difficult for them to adhere to that but gradually we weeded out the teething problems and came up with an idea that in order to not have to give good reviews to sub standard books, we would have a submissions process so that the admins team could preview the books and if approved, we sent them out for reviewing to our reading team. Those that don’t make the grade are nicely and respectfully let down, and given a brief overview of what our findings are and they have the opportunity to resubmit if they make changes. So, what we aim for now on The Review is more of a showcasing rather than a review. We like to be analytical and give examples of what it was about the book that we enjoyed so much. We share, tweet, promote and support the book for around a week or so and this really gets the book out there to a wide variety of readers. All we ask from the author in return is a copy to giveaway to a lucky winner. Some authors have been very generous and it is to their advantage as we get a lot more draws to the post if we have a giveaway attached than if we don’t. But it all hasn’t ended there, because in January this year, we launched our Book of the Month awards for Independent and self published authors. This has been a real exciting extension of what we do on The Review and it has been so well received. As for what’s next for The Review – I have some ideas, however our main joy and our main aim is to support and help authors of any type, whether they are indie, self published or traditional. Q. You must have built up some great friendships through The Review and related activities. How important do you think online connections are in comparison with real-world ones? Do you get different kinds of input from online friends as opposed to those close at hand? Do you entertain thoughts of actually meeting some of your online friends for real one day? 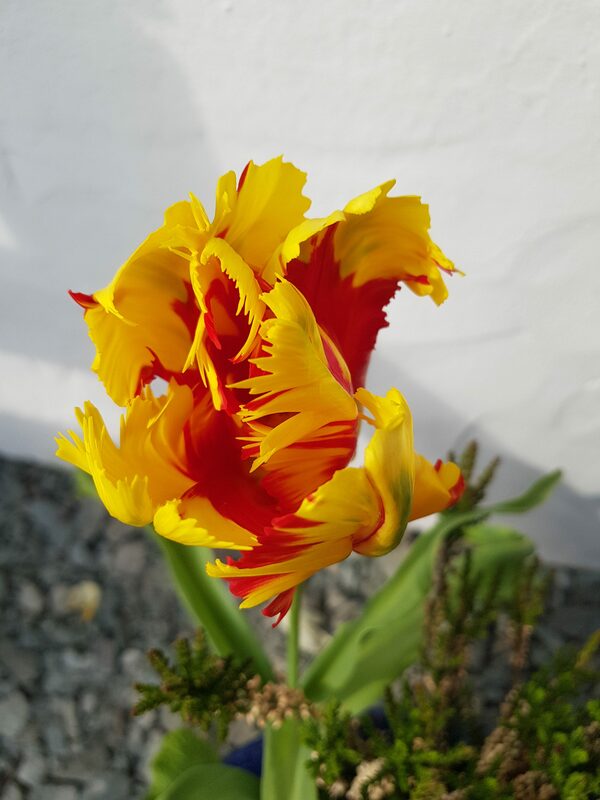 A. I am very good friends with all of my admins, reviewers and members, however, I have met up with lovely Louise Rule who lives about an hour and a half’s drive from me, and Jayne Smith who lives nearby and there are loads of people I’d love to meet up with. The friends I have that have been in my life before I started writing and joined the literary world are not really booky people, well not in the same sense and not to the degree that I am involved. However, I am so lucky that in June of this year, I shall be travelling out to Alaska to meet with the person I call my ‘other head’ Lisl Zlitni, who works with me and our other head, Louise Rule. We call ourselves Three Heads on One body! I am absolutely stoked to be going to Anchorage to meet up. This is such an amazing opportunity and I am so grateful to have been given this chance to meet up with my friends in such an awesomely intriguing place. Q. I’m aware that there is a sequel The Wolf Banner coming towards release. How much would you like to tell us about this? Do you think there will be others following on in the series or is this a conclusion? A. Well, The Wolf Banner follows on from Sons of the Wolf, checking in with what is going on for Wulfhere’s family in the aftermath of the terrible tragedy that occurs as a result of the blood feud between the two main families. We also see new threads entering the story and cameo characters from Sons are further developed and drawn deeper into the story. Sons of the Wolf covers the years from 1054-55 and The Wolf Banner 1056-59 and so there will be another two or three books at least as we have yet to reach The Battle of Hastings, which will be a devastating turning point for Wulfhere’s family and the other characters. Then I plan to take the story beyond the Battle of Hastings to the rebellions that arose in the wake of the invasion. And who knows, after that, I may even go backwards from the first book! A. Well, I hope to have The Wolf Banner ready for publication later this year and then I shall be revising Sons of the Wolf as it is currently out of print due to me breaking ties with my assisted publishing company. However you can obtain a signed paperback or a kindle copy through my website, www.paulalofting.com . All you have to do is go to the My Books section of my site and click on the paypal buttons. I would also like to take this opportunity that myself and my Review colleagues Lisl Zlitni and Louise Rule will be exploring Book Marketing packages which we are hoping to get off the ground in conjunction with The Review at some point. Thank you Richard for this opportunity to talk about my books and The Review. It has been a lot of fun talking to you! Today I am delighted to welcome Antoine Vanner to the blog, who has kindly answered a number of interview questions. This is a follow-on to my review of Britannia’s Shark a few days ago. Antoine is the author of (to date) three novels on the life and exploits of a Royal Navy captain of the late 19th century, Nicholas Dawlish. Q. 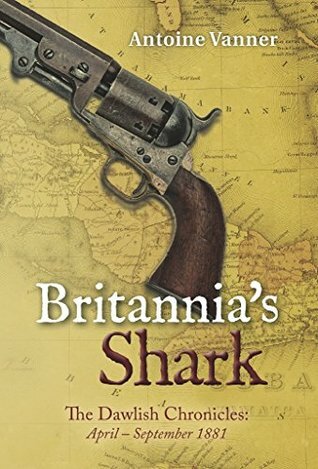 You write about an unusual period in naval fiction – the late 19th century. What first sparked your interest in this era? A. There are two parts to the answer, the first related to the period and the second to the naval aspects. I’m fascinated by the political, social and economic progress made by the Western World in the second half of the 19th century and I’m equally intrigued by the gigantic steps taken by science and technology at the same time. Like most Baby Boomers I had grandparents who had been born and had come to maturity in the last decades of that century and from them I learned enough to regard it as “history you can touch”. The scientific progress – achieved by titanic figures like James Clerk Maxwell, Pasteur, Mendeleev, Darwin, Röntgen, Koch, Ronald Ross, Lord Kelvin and a myriad others – transformed understanding of the world and heroic engineers – such as Edison, Tesla, Marconi, Parsons, Bell, Bessemer, Roebling, Greathead, Bazalgette and many more – established technologies that have flourished and spun off further developments ever since. A parallel revolution occurred in naval technology and it was to have profound political and historic implications not fully recognised at the time. In the 1850s, for example, senior commanders had served in sailing warships in the Napoleonic Wars. Yet officers who entered the service in that decade – such as the later Admiral Lord Fisher – were to create the navy that fought World War 1. They had the vision during their careers to harness developments in metallurgy, hydrodynamics, propulsion, breech-loading artillery, radio, torpedoes and even aircraft. New navies were to arise to challenge British supremacy – those of Germany, Japan and the United States – and in the process contribute to a slide towards the two World Wars in the 20th Century. Q. The first Dawlish book, Britannia’s Wolf, was set mainly in and around the Black Sea. 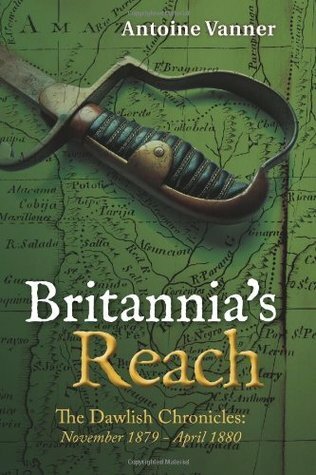 Britannia’s Reach was largely in South America. The latest, Britannia’s Shark, spans from the Adriatic to the Americas. Is his globe-trotting career typical of officers of his time? How did their experience of other lands and other cultures feed back into English society? A. It’s remarkable just how much Victorians got about, and not just explorers like Burton, Livingstone, Kingsley and Stanley, but even people we think of as somewhat staid figures. One of my favourite authors, Anthony Trollope, who is always associated with stories of contemporary British society, travelled to Australia, to United States (in wartime and later, crossing the Rockies) the Middle East and South Africa (in Natal just before the Zulu War). Britons and American who could afford it spent holidays in Egypt, and the Holy Land seems to have been thronged with tourists. Some of the most amazing travellers were women – my favourite is Isabella Bird. She was undaunted by rough travel in America, India, Kurdistan, the Persian Gulf, Iran, Tibet, Malaysia, Korea, Japan and China – the list is endless. Her books are massively entertaining and her photographs are superb. And of course military and naval officers got to just about everywhere, either in the line of duty or on private expeditions during leaves of absence. The result of much of the travel was creation of academic and other institutions in Britain dedicated to the study of foreign culture and languages, and to medical, zoological, botanical and geological research based on insights gained. Those institutions are with us today and in many cases established entire new disciplines. Q. So, Dawlish is very well travelled, and I know that you are as well. Do you try to personally visit the sites of the stories or rely on more general research? Are the stories sparked by your own travels? A. The novels published so far, and those in the pipeline, are all based on a combination of a greater or lesser knowledge of the locales and on interest in the historic events in those places in that period. Some of this reflects broad experience of my work and residence, but on occasion it’s necessary to go for much targeted research, either at specific locations, to get the geography right, or to visit museums to see various artefacts. I’ve been to over 50 countries, for residence, work or personal travel, and in every case I’ve made myself familiar with the broad – and sometimes detailed – history. And history spins off stories! Q. You have often mentioned how the Royal Navy of Dawlish’s era was, of necessity, skilled at working on land as well. Do you see this as a common theme of navies in history? Is there something about a life at sea which promotes a flexible and creative approach to problems? A. The ad-hoc “naval brigades” who the Royal Navy landed so often, and which ranged in size from a few dozen to several hundred men, were the Rapid Response units of their time. Since radio had not arrived, commanders in remote locations had to be ready to take quick decisions without more senior approval and this bred very self-reliant characters. I suspect that the phenomenon was common in most large navies prior to the invention of wireless. And as regards life at sea then yes, self-reliance is almost a sine qua non. Even today a ship is an isolated, self-sustaining island once it has left port and such self-reliance is needed not only in personal terms, but as regards structure, organisation and discipline. Whether on a Greek trireme or a modern ballistic submarine, each crew member needs to know his or her job perfectly. The price of anything less can be disaster. Q. Continuing this theme, I have a sense from your writing that you see great continuity between seamen of Dawlish’s age and our own. Looking the other way, do you think this is true of older generations? Would, say, a Napoleonic captain identify with Dawlish? A Viking? A Roman or Phoenician? A. Externalities – especially technologies – change but human capacities do such much more slowly, if at all. When one reads of the past one is struck by just how professional naval personnel were at all times in the past, seen by the standards of their own time. When one visits a sailing warship like HMS Victory or USS Constitution one is struck by the labyrinthine complexity of their standing and running rigging, by the skill needed to manoeuvre in adverse winds, waves and currents, by the organisation needed to bring the guns into action, sometimes for hours on end. By the standards of the time officers of such vessels needed to be as competent as those on an aircraft carrier today. The same applies to seamen of earlier ages. Given a time machine, and appropriate training opportunities, I suspect that many from the past would come very quickly up to speed on modern warships. Q. I know that military servicemen have found your writing about war very faithful to their own experience. Have you been caught up in conflict yourself? 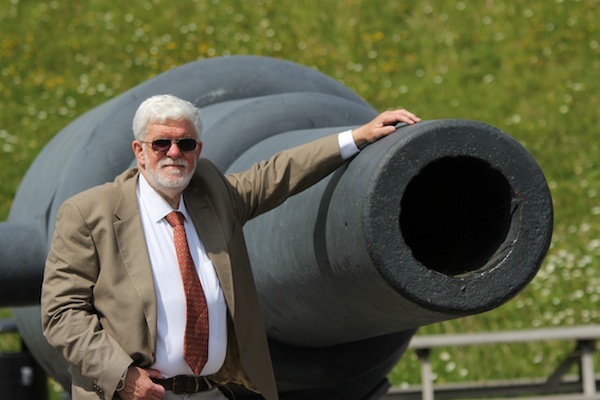 Q. I find your blog http://dawlishchronicles.blogspot.co.uk/ a fascinating compendium of naval history. Could you tell us a little about your research for this and the sources behind it? A. I thought initially as the blog being somewhere where I could post the odd article, based either on personal experience, or on some aspect of my general historical knowledge, or on information arising from my book-focussed research which I might not use directly in the actual writing. I found it a pity to let the latter go to waste. The response to the blog turned out to be amazing – people really like it and the readership numbers continue to grow. My articles aren’t detailed academic ones, but rather more like the sort of informal story-telling one might indulge in when relaxing with friends. I don’t think I’ve blogged about anything I didn’t know something about before – though sometimes very superficially. Remember that in over 60 years of reading, and with a reasonable memory, one accumulates a lot of information – but the items still often need a fair amount of library and internet research. The occasional very personal pieces – like those I wrote about having toured Syria just before the war there, or visiting the Alzhir Women’s Gulag in Kazakhstan – can be quite emotionally draining to write. Q. Tell us a little about your writing process – research, drafting, polishing etc. A. I’m now writing my seventh novel, though only three have been published so far. One of them is a non-Dawlish novel dealing with contemporary African issues. It’s quite a sombre book and reflects personal experience. I’m uncertain as to when and how to publish it. As regards the Dawlish Chronicles I like to have one book at least, and indeed two at present, “on the back burner”. By this I mean that I finish a first draft, correct and rewrite as necessary, then lay it aside while I’m writing the next one. I find that though I don’t read the back-burner novel for the nine months or so that it takes me to write the next one, my subconscious keeps challenging it as regards plot, action and sequence. I jot down any conscious insights also. When I come back to do my next revision after some nine or ten months I find myself reading very critically to start and Imay make very significant changes indeed. The dictum that “writing is rewriting” is always valid and in extreme cases one must be prepared to delete even entire chapters, write new ones, and restructure. The fourth Dawlish Chronicles novel will be getting the full revision treatment in mid-2015, aimed at publication in the fourth quarter. Q. I suspect that you are well on with the next Dawlish novel, but can’t imagine you want to tell us too much about it yet! Can you whet our appetite by outlining some of the wider political scene that faced the Royal Navy at this time? A. Given the ramparts of confidentiality that the shadowy Admiral Topcliffe erected around the events in questiob, and despite the cooperation of official archivists and the benefits of the Freedom of Information Act, I would hesitate to answer that one just yet! Some embarrassing incidents are involved for which a once-hostile, now-friendly nation was responsible and I’ll have to tread very carefully. But with luck, I hope all difficulties can be overcome and the full story can finally be told in about ten months’ time! And finally – Thanks Richard for taking the time to interview me! It’s been as much a pleasure to answer your questions as it is to know you and your work!